Did you know we now offer a full end-to-end solution? From inspirational seminars to design service and products to controls and the final touches – we offer it all. Find out more below…. Presented by the designers, the lighting masterclasses/CPDs are held at the showroom and feature stunning demonstrations that illustrate why lighting is one of the most powerful elements of interior design. Each lighting masterclass/CPD also provides an opportunity to discover clever lighting tips that give richness and depth to any living space and look at the energy efficient lighting options now available. Find out more. We offer a bespoke design service to ensure that you make the most out of the lighting in your space; from one room to a whole house and garden. See how the lighting design service works and book your appointment today! 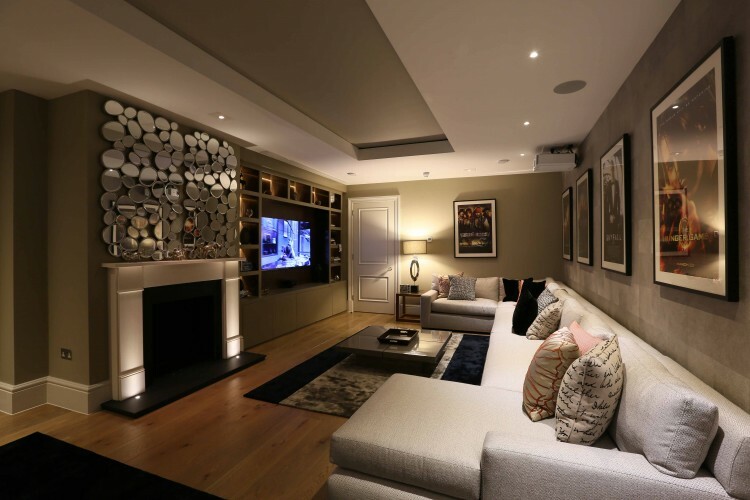 We offer a range of bespoke lighting control system that will revolutionise how you use your home. It enables you to manage your lighting requirements instantly by changing the mood of a space with one touch, save energy and utilise the lighting as an additional security feature as systems can be set to replay lighting scenes in a ‘holiday mode’. See more information on our control solutions here. The designer on your project can visit the site at the end of the project to refine the final lighting effects. Why not take a look at our projects to see the ranges of final effects that can be achieved. We offer technical back-up to help educate to ensure correct installation and any questions that may arise in the future. If you need any technical support, give us a call on +44 (0) 20 7371 9000 or take a look at our FAQs here. For additional peace of mind for your client, we now offer LuxCare, our unique Service Level Agreement. Your client can select the level of care they require and we will ensure that their lighting looks as good as the day it was installed. Why not give us a call on +44 (0) 20 7371 9000 for more information or sign up to our newsletters to hear the latest news.